I didn’t make it very far into Lost Lake, only to Page 2, as a matter of fact, before I knew what I wanted to make for my She Reads March post. This is what stopped me in my tracks. 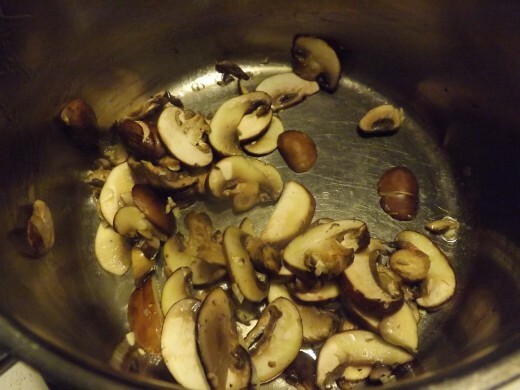 Over dinner, a meal that had consisted wholly of mushrooms simply because they felt like it, they still couldn’t bring themselves to talk of home yet. And isn’t that how a honeymoon in Paris should be? Eby and George’s undying love was evident throughout the book, even when told in flashbacks. I kept reading beyond the second page because I just didn’t want to put this book down, but I couldn’t stop thinking about a dinner centered around mushrooms, even when author Sarah Addison Allen tempted me with fire-grilled steaks, French pastries, and a monstrous chocolate cake that was so large it had to be carried by two men to Eby’s farewell party table. And then, of course, I was kicking myself for never cooking or consuming a meal of just mushroom dishes. Why didn’t I think of that? I adore mushrooms. 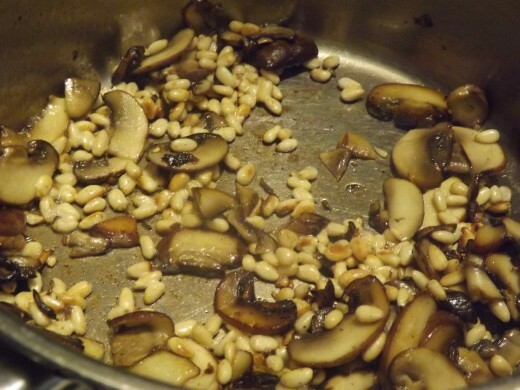 Though it isn’t a French dish, I started toasting pine nuts and slicing cremini mushrooms for a risotto. 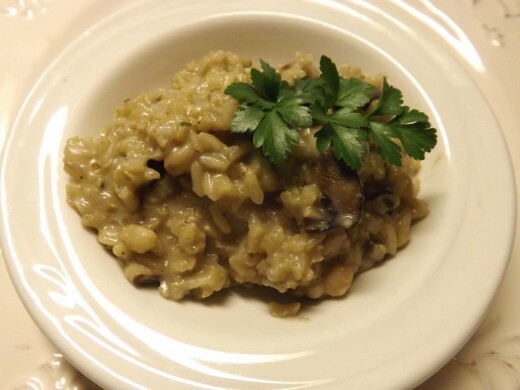 Here is my recipe, but I am including links to a few other mushroom dishes of mine for anyone who might like to use them for a meal consisting “wholly of mushrooms”. 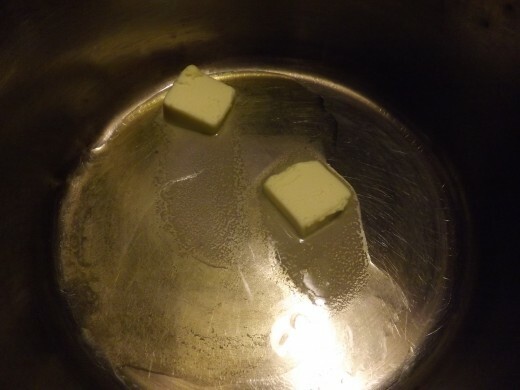 In a medium saucepan, combine the oil and butter and place over medium heat until the butter is melted. Sautè the garlic in the fats until it’s translucent. Add the mushrooms and slowly brown them. 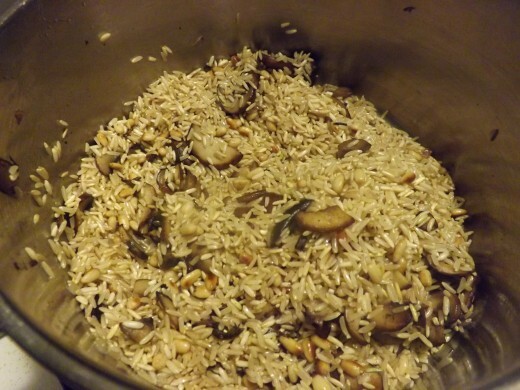 Toss in the pine nuts to toast, stirring constantly. As soon as they begin to turn golden brown, add the rice. Toast the rice, while stirring, until golden. Start pouring a little of the broth in at a time, while stirring constantly, until it is absorbed. Add the parsley. 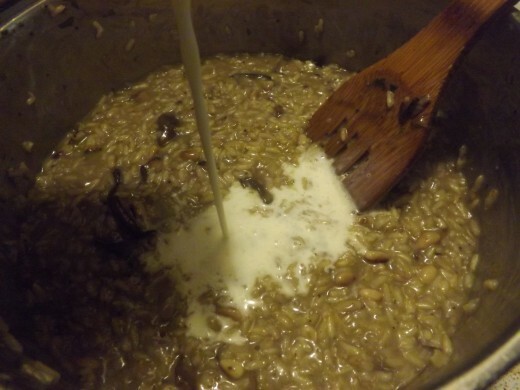 Continue adding broth and water until the rice is tender and the liquid is absorbed, stirring constantly, about 40 minutes. Repeat the process with the cream. Stir in the cheese before serving. Season with salt & pepper to taste. 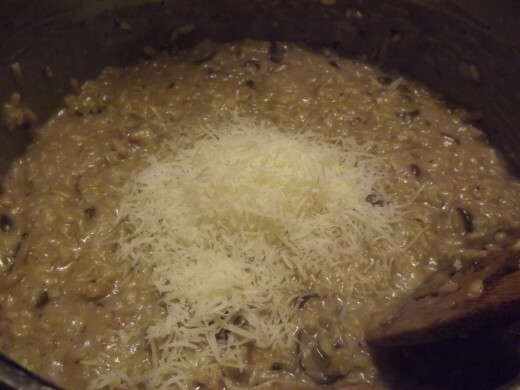 Though time consuming, this method makes a creamy risotto that is worth the wait. The end result is rich and beefy. 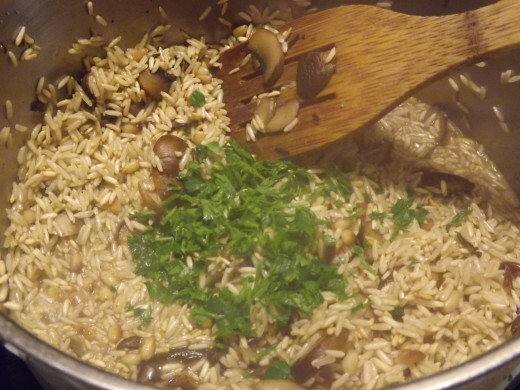 If you prefer to save time and are willing to sacrifice quality but not lose any of the flavor, you could pour all the broth and water, along with the parsley, into the mixture after the rice is toasted to make a pilaf. Just cover the pot, turn the heat to low, and stir occasionally until the rice is tender.